Blackpool went ahead through right-back, Kevin Mellor making it the 25-year-old’s sixth goal of the season – and he is proving a shrewd recruit after being released by Plymouth in July. Former Torquay man, Angus McDonald flicked home a header from a corner taken by Conor Hourihane to draw the game level, his first for Barnsley. The goal changed the complexion of the game with Barnsley putting their foot on the throttle in serch of a second. The Seasiders weathered the storm, though, and saw the game through to extra-time. 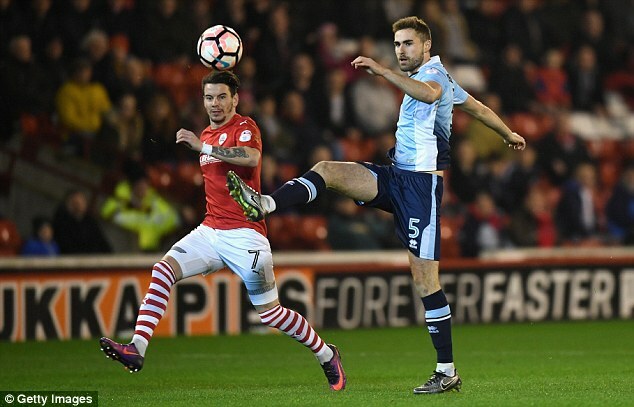 Barnsley mounted pressure on their visitors as the extra half-hour progressed with Ryan Williams, Adam Hammill and Tom Bradshaw all going close to netting the winner. But it was 19-year-old Bright Osayi-Samuel who came in for top scorer, Kyle Vassell just before half-time popped up to cap a wonderful night for the Tangerines and ensure they advanced to the next round. He scored with virtually the last kick of the extra-time, finally separating the sides – who played out a hard-fought goalless draw at Bloomfield Road – after more than 210 minutes of play.